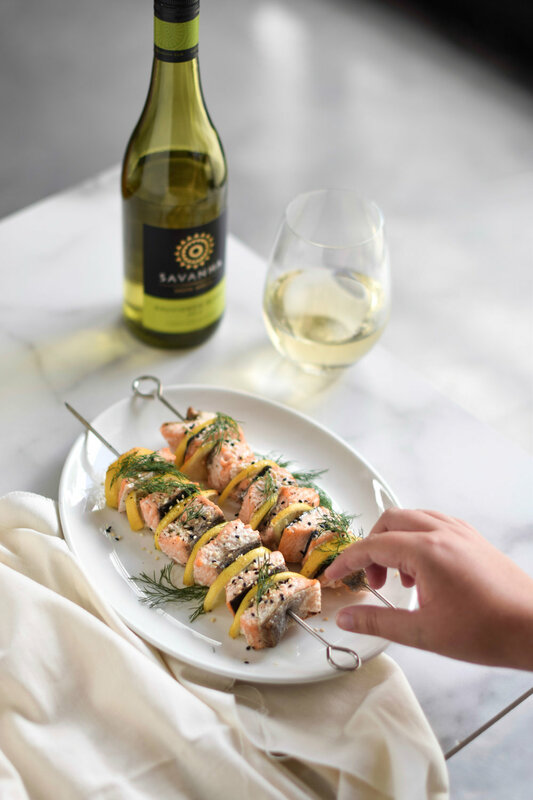 A chilled afternoon picnic must: citrus and dill salmon kebabs that brings the taste of summer home. Soak skewers for 30 minutes in cold water. Add salmon and lemon slices to skewers in any order. With a pastry brush, brush each skewer with olive oil.